Delta Air Lines and Aeromexico on Friday unveiled LAFC Taking Off Collection, a limited-edition accessory line celebrating Los Angeles Football Club’s inaugural season and the team’s recent playoff berth. The airlines teamed up with sisters and renowned jewelry designers Phoebe and Annette Stephens of Anndra Neen to create accessory pieces in two styles – a necklace and keychain – to commemorate the team’s inaugural season and partnership with Delta and Aeromexico. 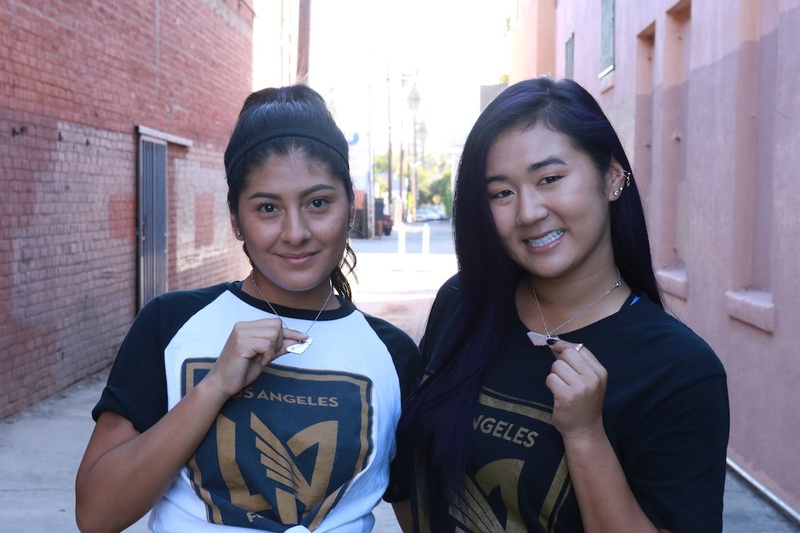 Each piece was created using sheets of plane metal from a retired Delta Boeing 767 aircraft and cut into the Stephens sisters’ interpretation of LAFC’s golden wing with three feathers symbolizing LAFC fans, community and the club. Design has been part of the sisters’ lives since their childhood in Mexico City. They are part of three generations of craftswomen, starting with their grandmother who designed pieces for artists and other public figures such as Frida Kahlo and Peggy Guggenheim, among others. The sisters incorporate their Mexican-American roots into everything they create, including the LAFC collection. The unveiling of the pieces took place at an event in Los Angeles on Friday, where 1,000 guests were able to select which style they wanted. 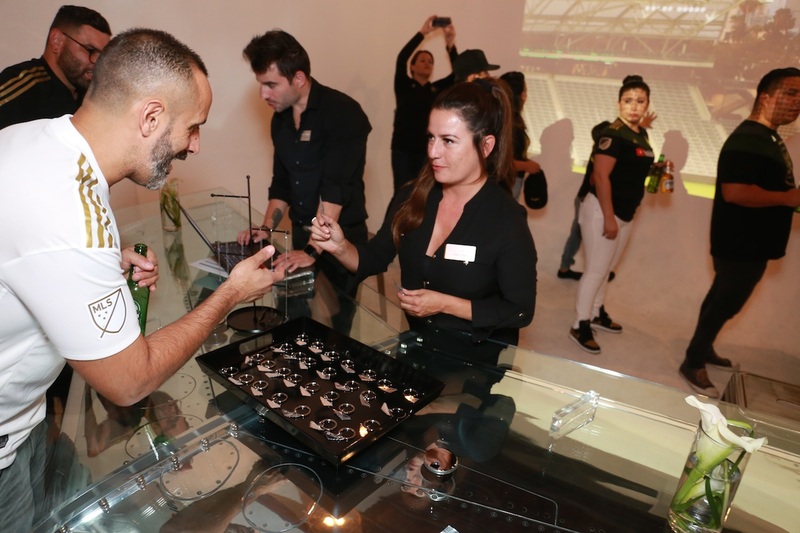 The event included a gallery-like space showcasing the collection and its inspiration and was specially curated with decorative elements featuring recycled plane materials that were used in the jewelry pieces. 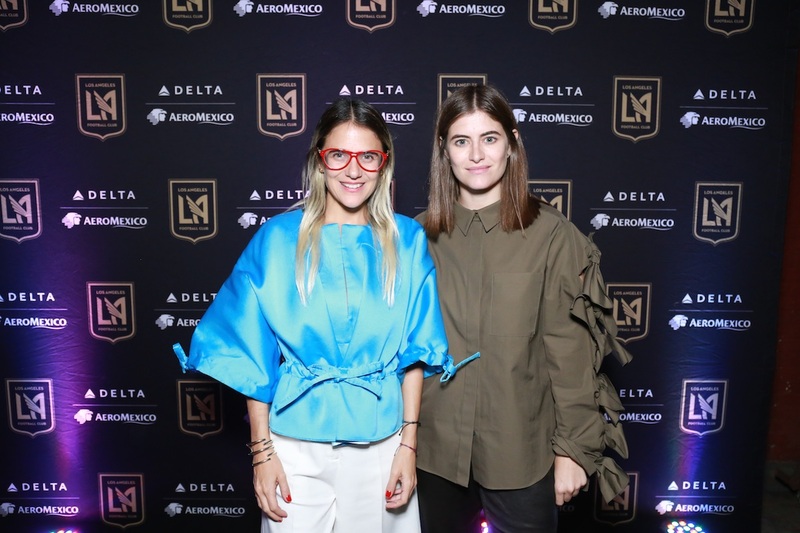 The event was attended by LAFC players, members and fans; Delta and Aeromexico representatives; the Stephens sisters, local tastemakers and media. An event highlight was the opportunity for true fans to meet their favorite players, take a photo with them and share the moment on their social channels. Delta and Aeromexico are the Official Airlines of LAFC. Their partnership underscores a continued commitment to being the leading alliance between the U.S. and Mexico and a strong partner to the Los Angeles community. As the team’s official airlines and founding-level, Golden Boot Club Partner, Delta and Aeromexico host several community engagement events throughout the year with LAFC.